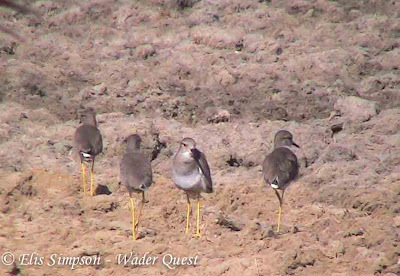 Wader Quest: Pivot fields Dubai; lapwings galore! 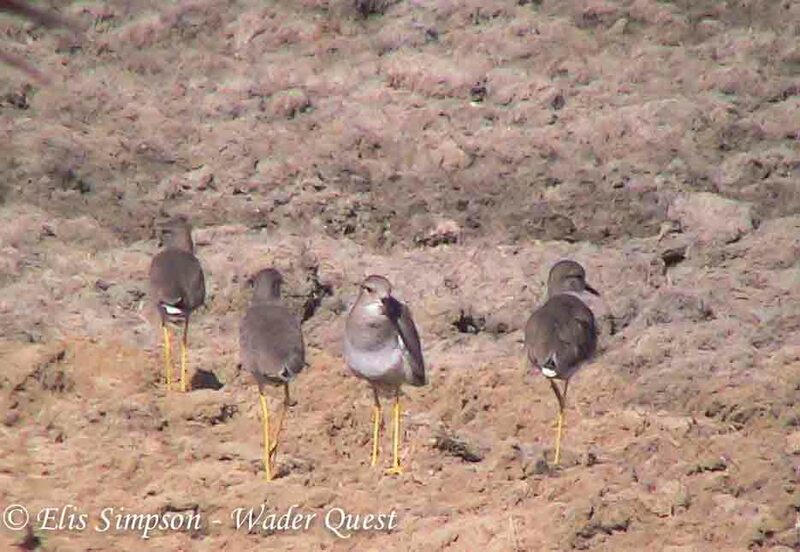 Pivot fields Dubai; lapwings galore! Drove our hired car from the hotel this morning to try and catch up with the Sociable and White-tailed Lapwings at the Pivot fields following the directions we had been given by Tommy Pedersen, the UAE bird recorder who is the Wader Quest representative in the UAE and just happens to be a very good friend too. The birds were exactly (well almost) where he said they would be making finding them relatively easy. 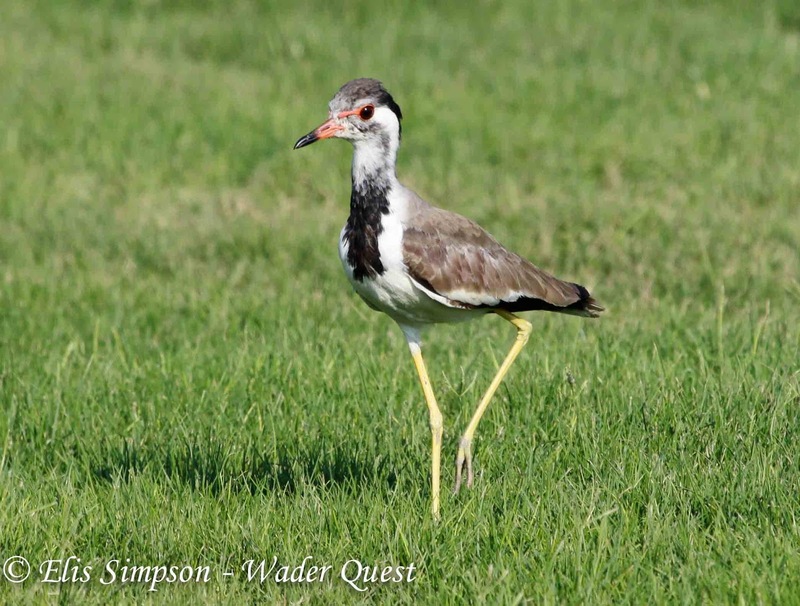 There were many Red-wattled Lapwings spread across the grassy and cultivated areas with one or two juvenile/1st winters in among them. Soon we found the White-tailed Lapwings much to my delight, I have long wanted to see one and seeing so many together, about 45 in all, was a real bonus. 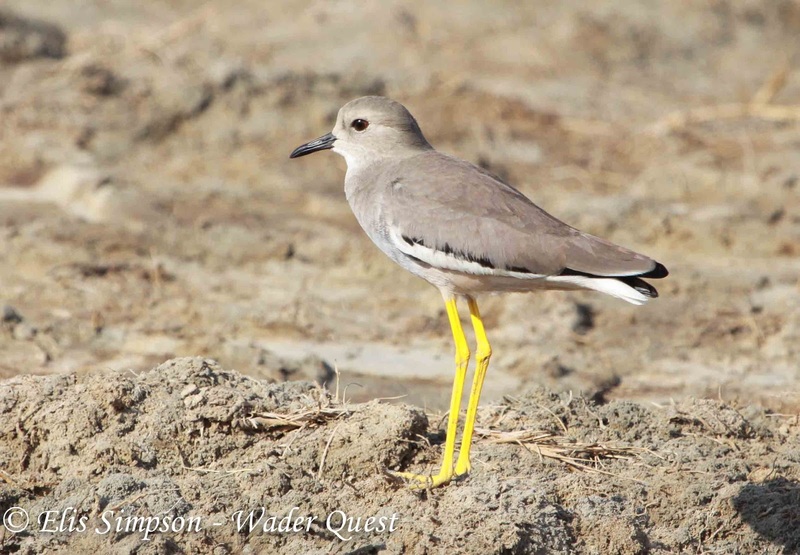 They are so elegant, when they are standing still their subtle plumage blends with the surroundings but their bright yellow legs give them away. Soon after we came across three Sociable Lapwings they were not particularly associating with other lapwings, but at the same time were not deliberately keeping their distance so hard to tell if they are really sociable. 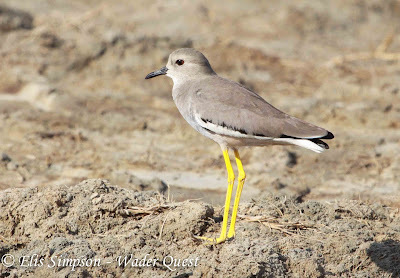 These birds are critically endangered and so were a real priority for us to see, if we didn't see them in the UAE where they are by no means a given, then they would have been very hard to catch up with. 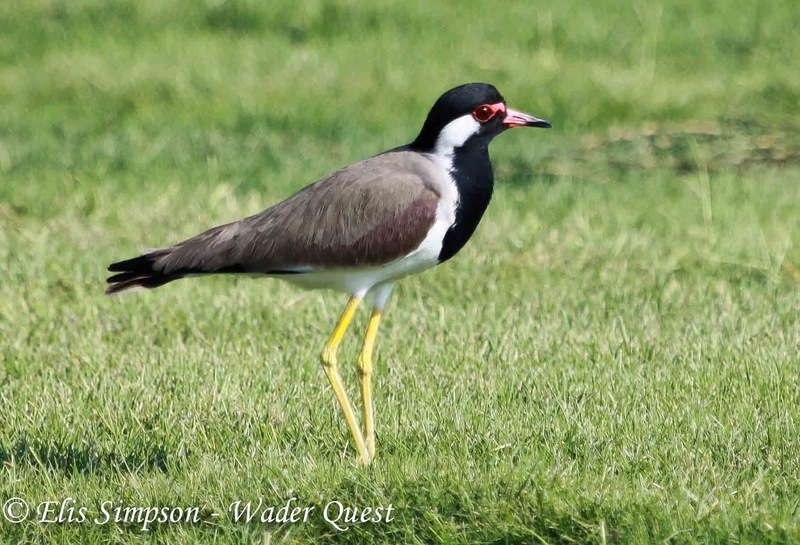 We then met a chap called Mike Charlton who was visiting Dubai to see family and we were delighted to be able to show him the Lapwings, he enjoying scope views of them and while we were with him we found the fourth Sociable Lapwing. Mike has the distinction of being the chap who found the UAE's second ever Black Drongo a while ago. 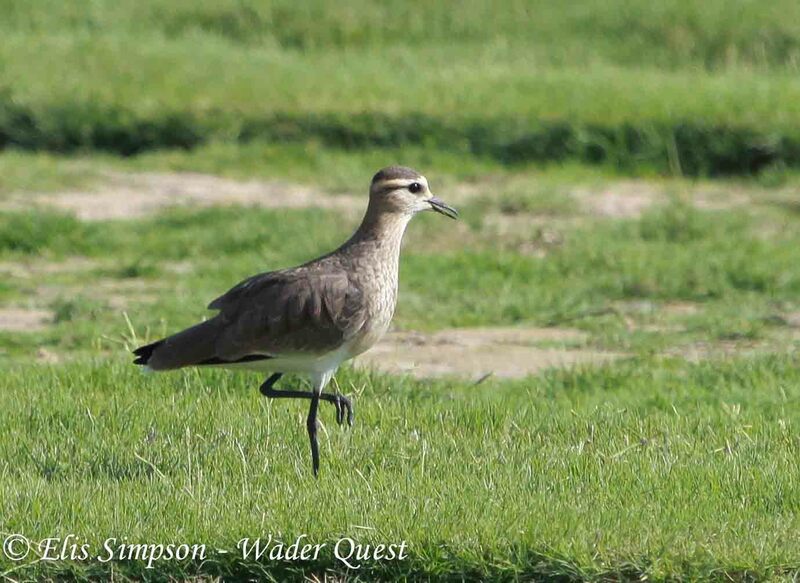 Mike Charlton enjoying the Sociable Lapwings.